How to properly prepare a nucleic acid structure in order to use it in a Molecular Dynamics Simulation. 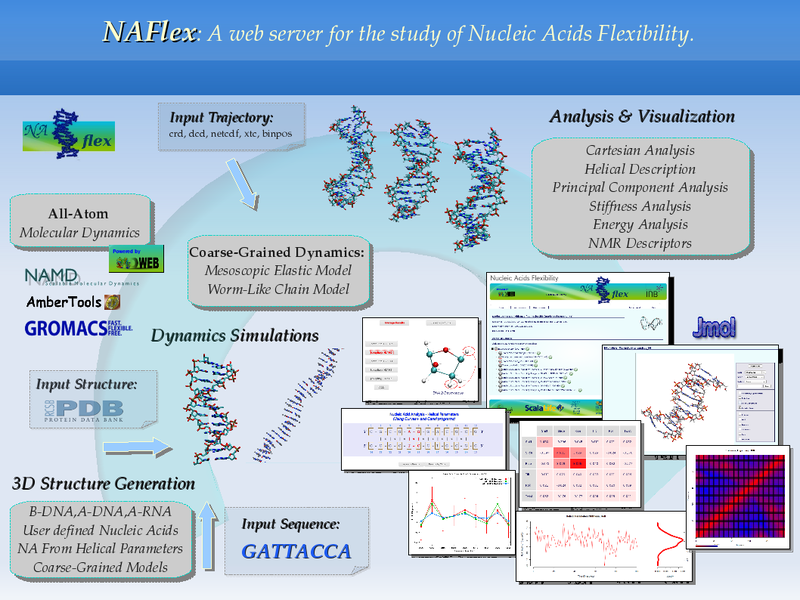 How to run the set of different Flexibility analysis offered by the server from a Molecular Dynamics trajectory: Helical Parameters, Principal Components (PCA), HB/Stacking energies, NMR-observables, etc. How to run the set of Flexibility analysis offered by the server from a Coarse-Grained generated trajectory: Distance Contact Maps and Stiffness Constants (the later only for Elastic Mesoscopic Model).